Before heading to Milan, I wasn’t quite sure what to expect. 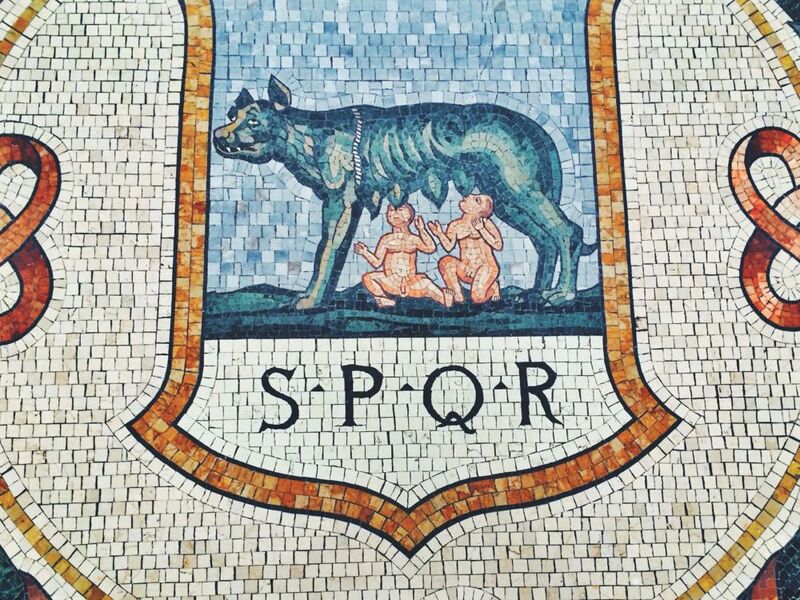 I’ve spent a fair amount of time in Italy, and always have left blown away by cities like Rome and Florence, both of which are rich in cultural and artistic treasures. To be honest, I was pretty certain Milan would never measure up. True confession time: the entire impetus for spending a weekend in Milan was so that I could see the Last Supper. And, since visits to the Last Supper are in strictly regulated 15-minute increments, I essentially came to Milan just for one 15-minute event. Was it worth it? I think so. For me, seeing the Last Supper was a major “bucket list” moment (for the record, I don’t actually have a bucket list, but if I did, this would have been on it). I spent summer 2005 in Florence, where I took an art history class on da Vinci. Ever since, I’ve been dying to see the Last Supper – and after all this time, it did not disappoint. To visit the Last Supper, I recommend booking far in advance; I did it several months ahead of time, though I don’t know that you need to be quite that zealous. In any case, if seeing it is a priority for you, I would plan ahead. When you arrive, you’ll be led through a series of pressurized chambers leading up to the painting – which is sort of a fun, unique experience in itself. When you finally make it to the painting, you’ll have 15 minutes to experience it – during which time, you can look but not take photographs. 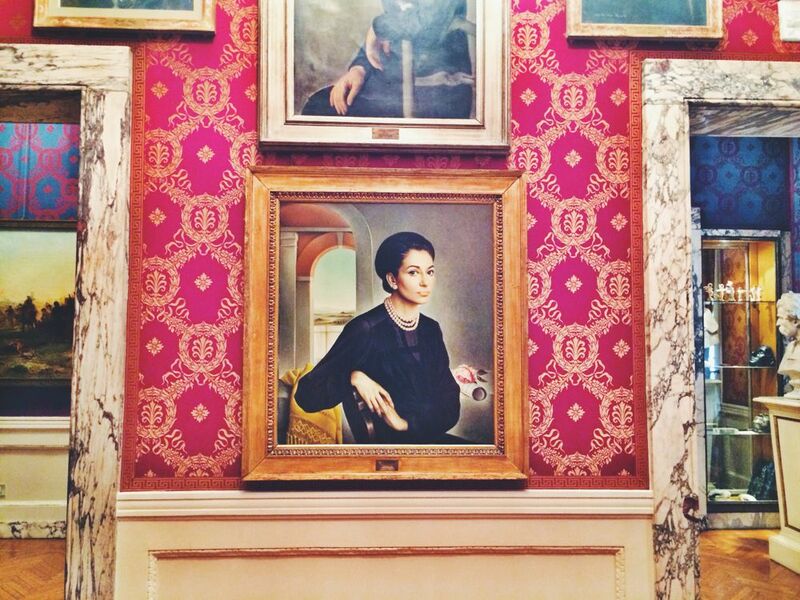 To be honest, I’m often a covert iPhone photo taker, but in cases like this, I feel like it’s best to just respect the painting, to sit and absorb, and to not worry about Instagramming the moment. 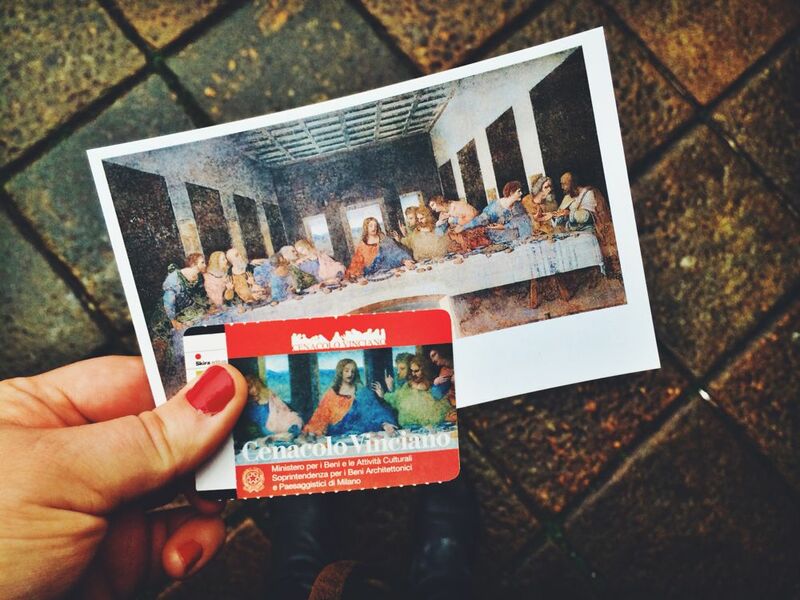 As for the Last Supper itself, I found seeing it in person powerful. I’ve probably read and studied this particular work of art more than any other, so it was cool just to be there, right in front of it. I also loved how, when standing in front of the painting, I could really get a clear sense of how da Vinci played with perspective, designing the painting to be an extension of the room itself. 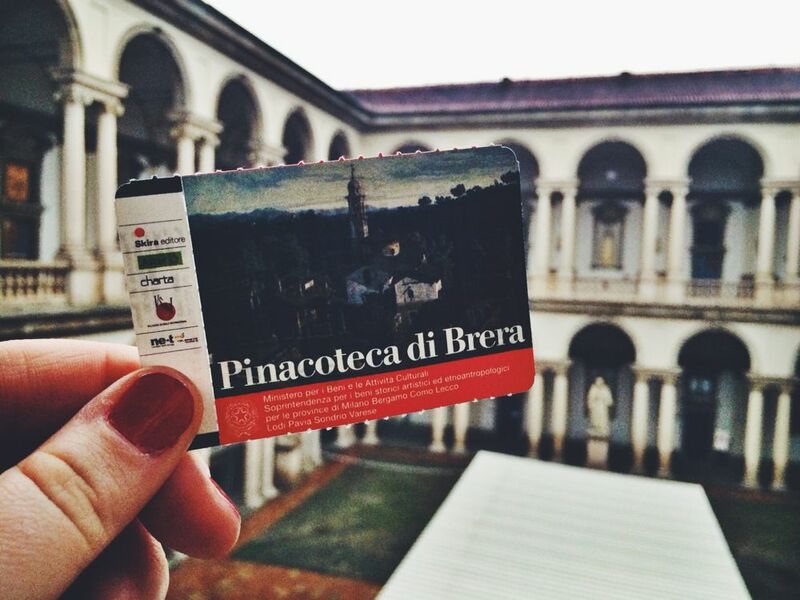 The Brera Art Gallery (nestled in the cool, hipster-ish Brera neighborhood) is paradise for anyone interested in Italian paintings. There were lots of great pieces here, but I especially liked the Caravaggio. However, even more than the paintings, I liked glimpsing the Brera’s restoration lab. While no one was at work when I passed through, I found it fascinating to peek in and see all the tools and gadgets used to restore the paintings – a behind-the-scenes perspective that you don’t usually get to see at a museum. 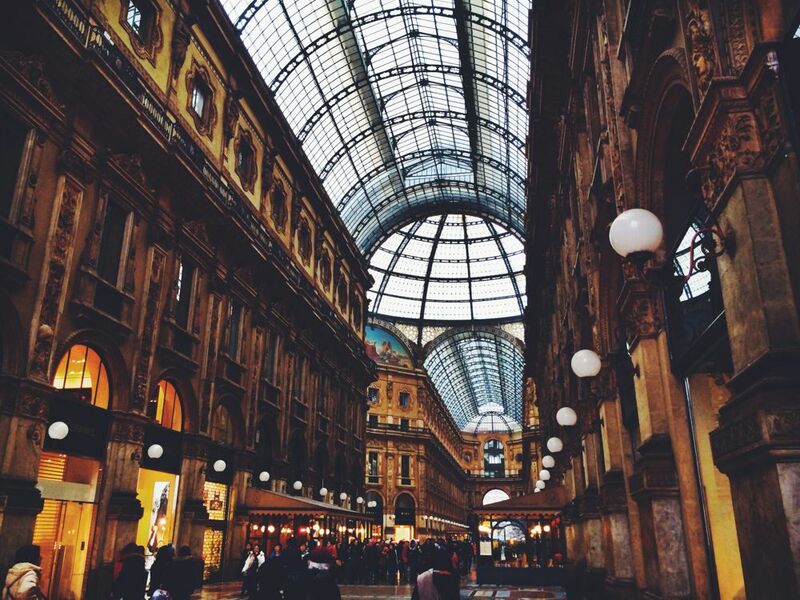 More likely than not, any visit to Milan will include at least a walk or two (or twenty) through the Galleria Vittorio Emanuele II, an oh-so-fancy shopping gallery that conveniently links Piazza del Duomo with La Scala. 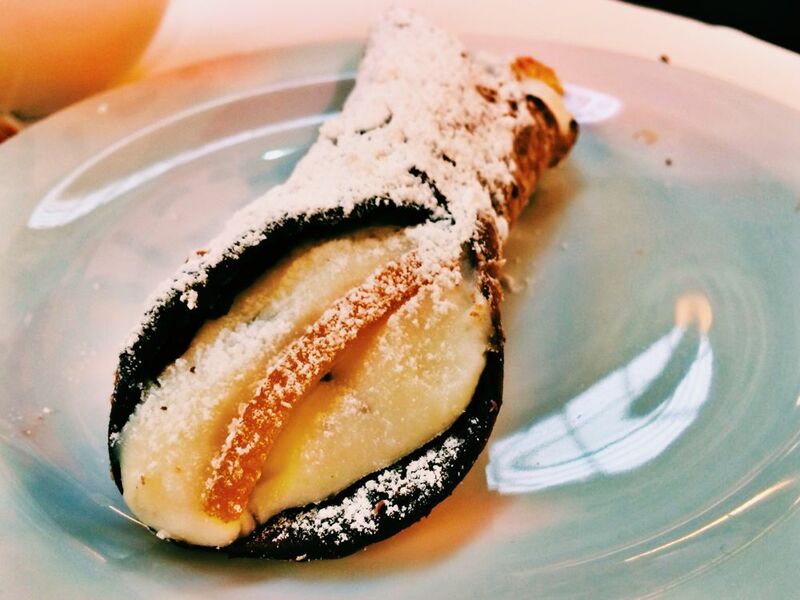 While I wasn’t in the financial position to scoop up anything from Louis Vuitton or the other fancy stores inside, I did grab a cappuccino and a cannoli at one of the cafes. While my morning snack was incredibly overpriced, I’d say it was almost worth it for the people-watching. 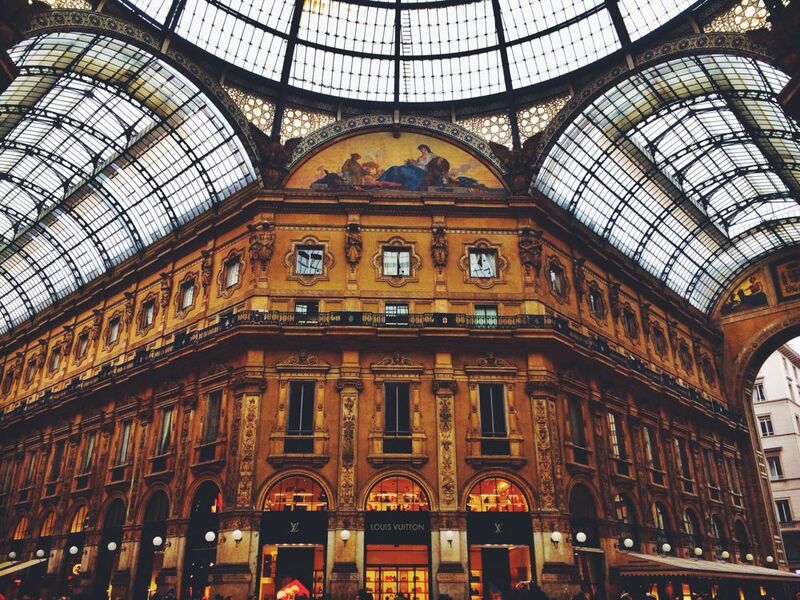 La Scala, Milan’s famous opera house, was a place of contrasts. On the one hand, the exterior is utterly unremarkable; I expected something grand, but it basically looks like any other old building from the outside. Total bummer! 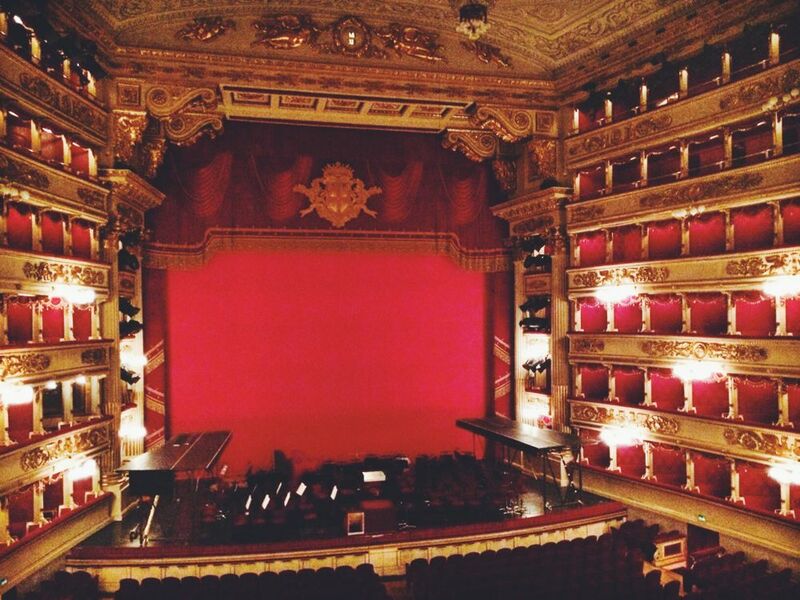 From the inside, however, La Scala is downright beautiful. The museum at La Scala would be ideal for music lovers or opera buffs; there’s a lot of great memorabilia inside, and for someone who knows their classical music better than I do, I would expect the collection to be a thrill. 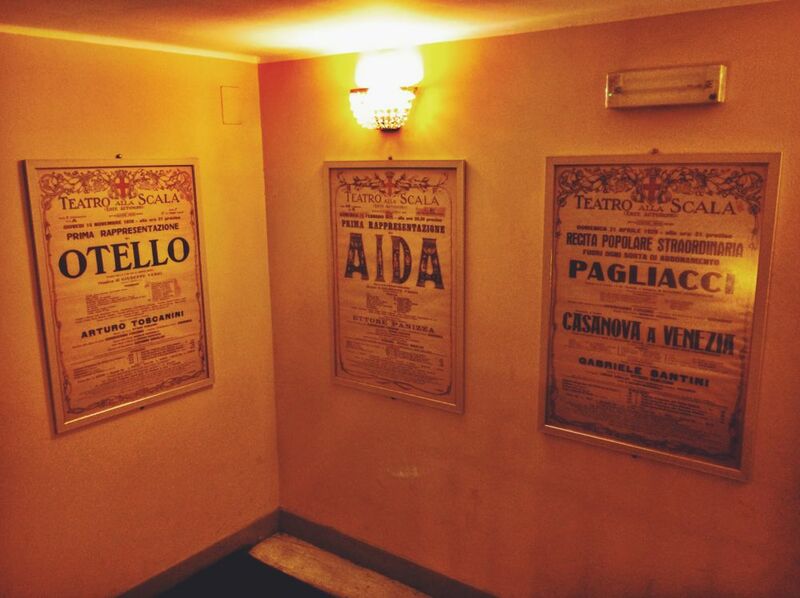 If you’re not an opera aficionado, however, I think La Scala’s museum is still worth the price of admission for the chance to peek inside the theater. It is gorgeous. Here’s a recurring thought I had while in Milan: everyone, even the tiniest of children, dresses better than I do. Seriously, the elegance and chicness of Milanese citizens cannot be overstated; they simply look good wherever they go. 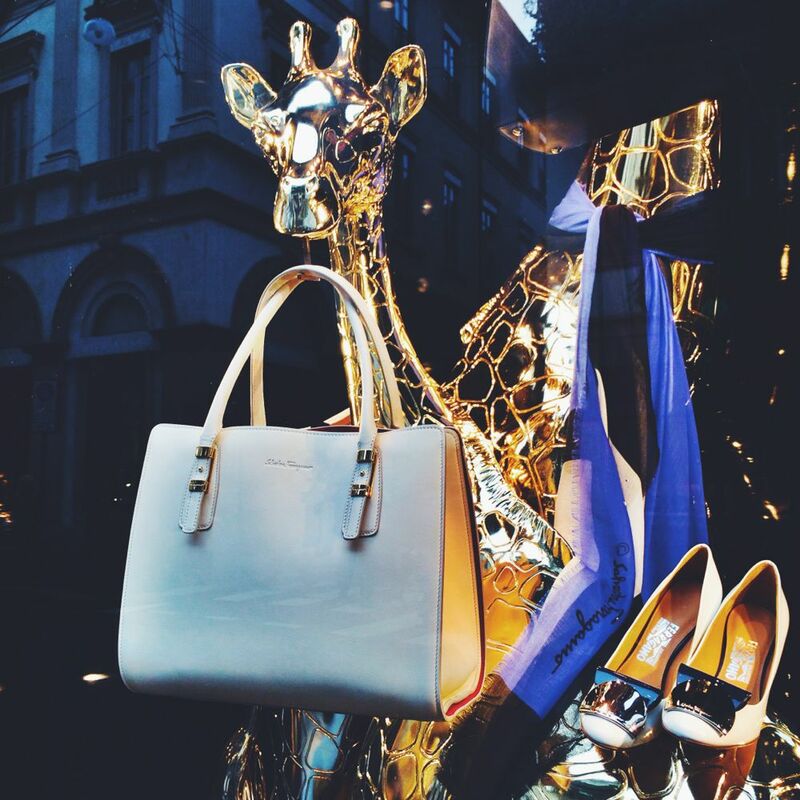 Given this, it’s not surprising that shopping is a big deal in Milan. 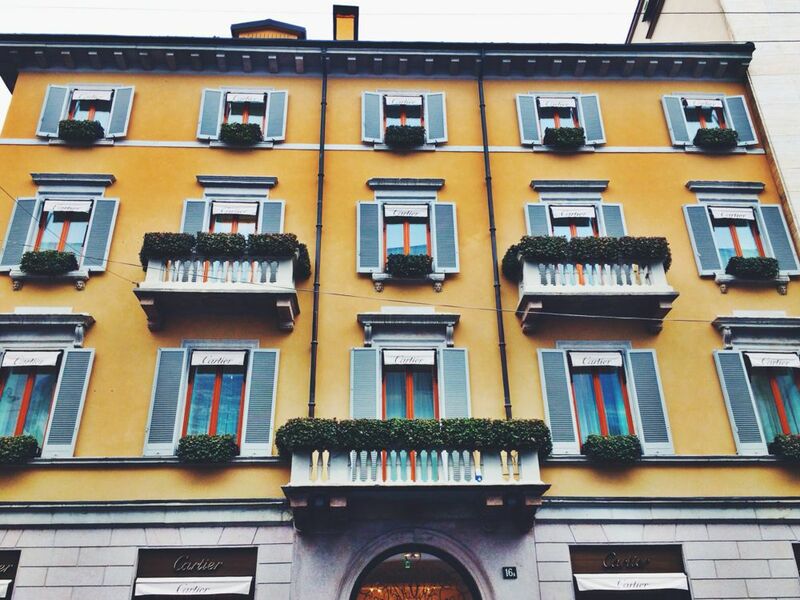 If you want to find prime window shopping, head to the Quadrilatero d’Oro (“golden rectangle”) area. Why is it golden? Because it is damn expensive. I didn’t feel fancy enough to actually enter any of the stores here, but just wandering around and ogling the window displays was entertaining enough. 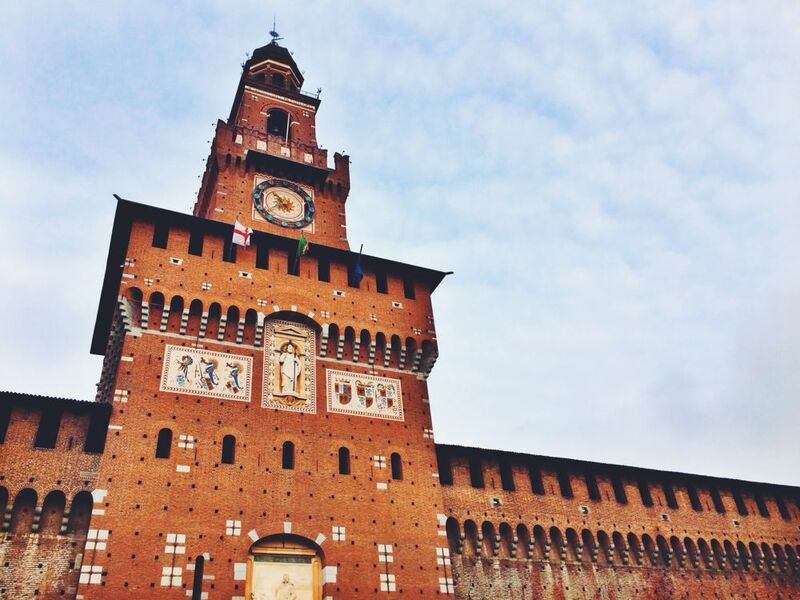 At first I thought the Sforza Castle was just a castle; you know – see the pretty towers, snap a few photos, and call it a day. I soon realized that the “castle” is actually a huge complex, filled with an eclectic range of museums. There are so many different collections, in fact, that Sforza Castle is a little overwhelming. I didn’t attempt to see everything here, but I found a few highlights that stood out. 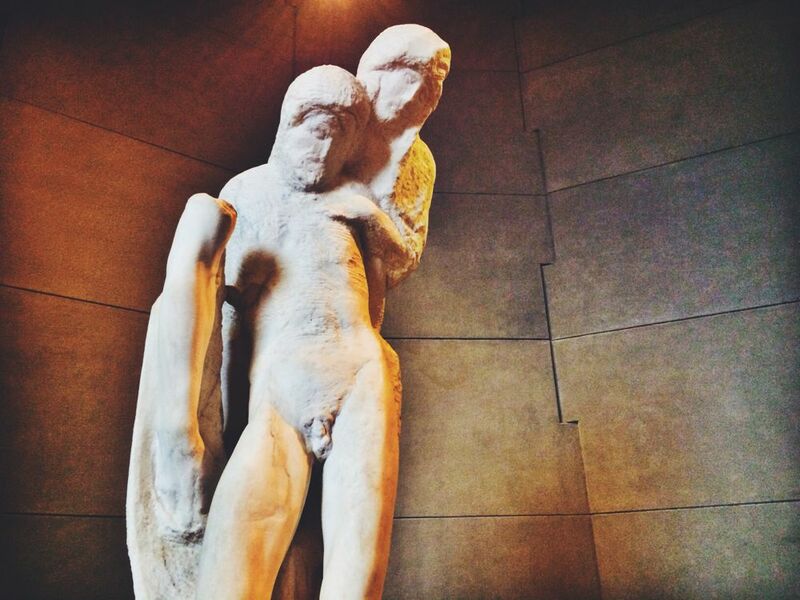 First, the Sforza is home to Michelangelo’s last Pieta. In my opinion, when given the chance, you should always try to see a Michelangelo, and the good thing about the Sforza’s is that it will be mobbed by far, far fewer tourists than, say, the David in Florence. Second, I loved the Sforza’s decorative arts museum, which is filled with lots of beautiful knick knacks and housewares. My favorite items? The colorfully painted teacups! So cute and pretty. 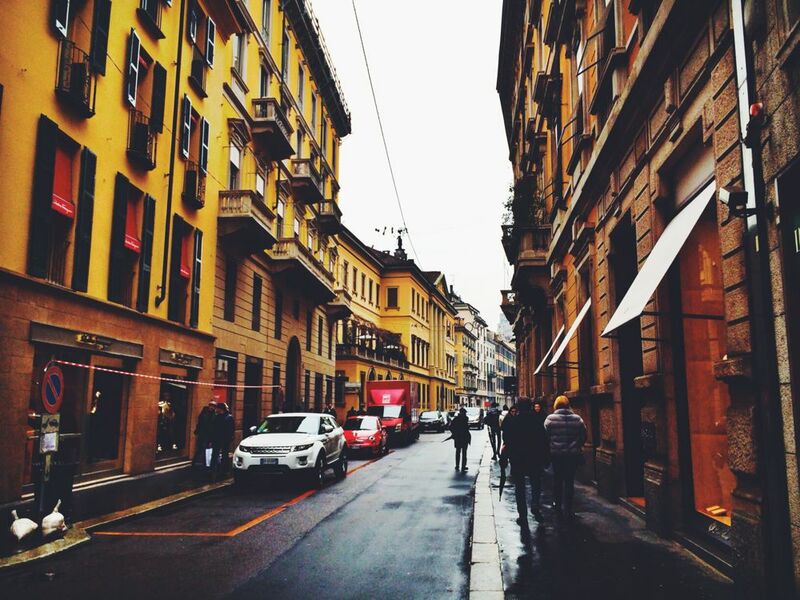 As is probably obvious, I hit up a lot of museums and did a lot of window shopping and wandering while in Milan. 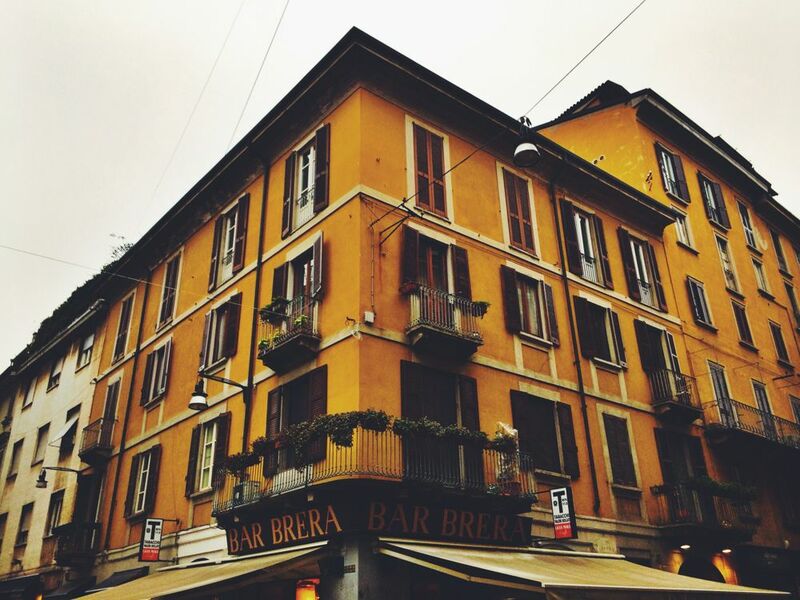 There was always plenty to do and, as a result, I ended up enjoying the city much more than I expected to. 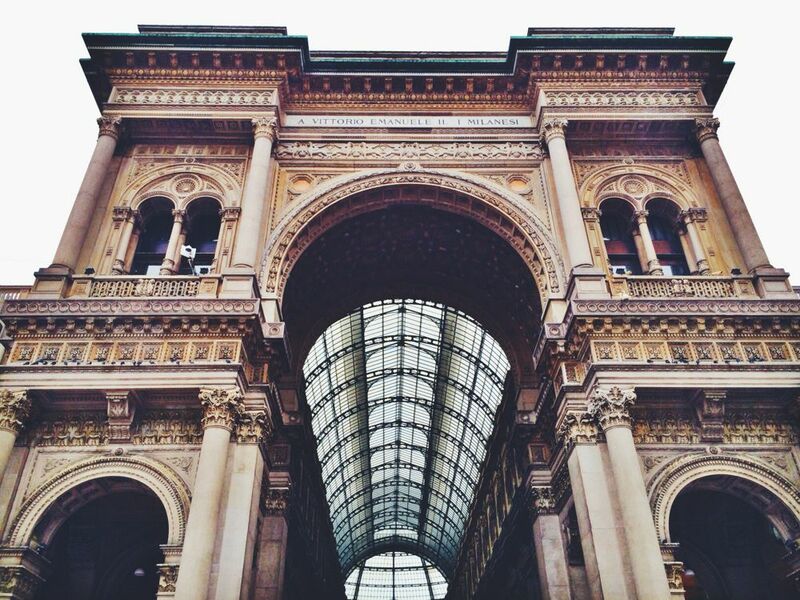 While I don’t think Milan will ever be my favorite city in Italy, I know now that it has more than a few cultural highlights of its own.